After the year 2016 in which Marc Márquez was crowned as the world champion, all the excitement of the two-wheel racing championship is back for a new season full of challenges: Márquez will try to retain his title but he'll have to battle it out with Jorge Lorenzo, Valentino Rossi, Andrea Dovizioso or Maverick Viñales, who will try to defeat him whatever it takes. 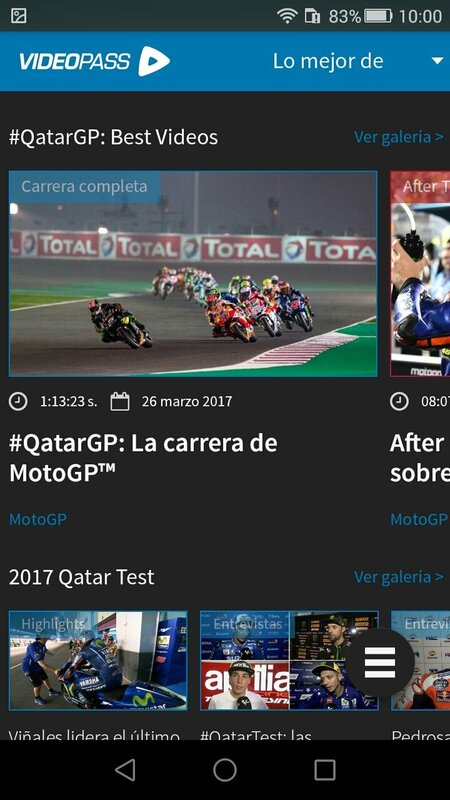 And motorcycling fans have two essential resources to be able to follow the MotoGP championship: either watching it on TV or downloading the official Android app developed by Dorna, the company that owns and operates the championship. Argentina, Donnington Park, Motegi, Phillip Island... you won't miss a single race. By downloading the APK you'll be able to get hold of all the information you need to not miss out on a single detail about this show. You'll be able to read the latest news, view the calendar, access images, videos, information about riders and tracks, standings... A must for all two-wheel fans. 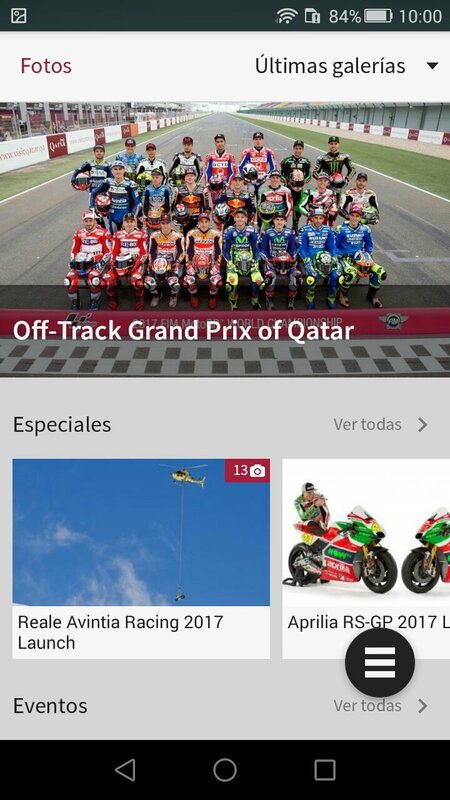 It's a very complete app that exceeds other applications seen in other motor sports, such as the Formula 1 program with fewer free contents and many more limitations. This one can be downloaded for free but there are certain areas that we can only access by means of the full version, such as accessing videos. For such purpose, we'll have to make in-app purchases. 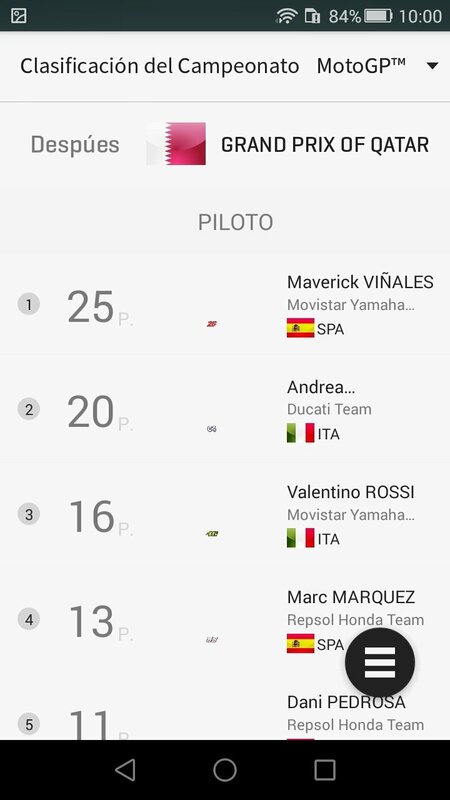 Monitor the riders in real-time. Access to social channels (Twitter, Facebook, YouTube...). Calendar of races and schedule for qualifying rounds and races. Broadcast of live races online and via streaming. Collection of over 45,000 videos since 1992. As we said, the best application to follow everything that happens in the highest category of motorcycle racing.